Currency: Real-world money used to buy FunCom Points. Note: All items in the store are gender specific. 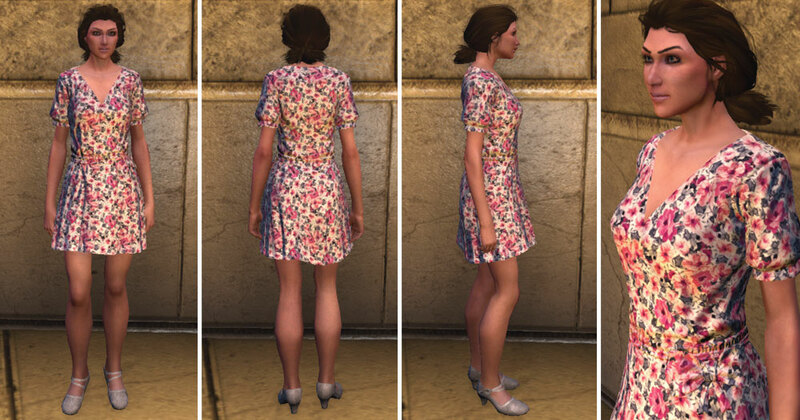 So when you purchase an item or outfit as “account wide” on a Female character you will have that item/outfit available to all current and future Female characters on that account. Note: If you are searching for the dress, it is spelled “colared” in the item shop. Note: Also available in white. Note: Also available in pink. Note: It doesn’t show up well in the screenshot, but there is a bow on the left side of the waist.